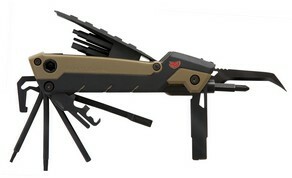 Das Korrektur Messer für das Sturmgewehr 90 und allen Varianten des SG55x mit der Standard-Visierung. 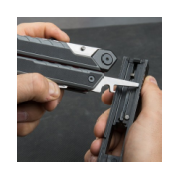 Damit lassen sich schnell und bequem Schussverlagerungen in der Seite und Höhe zu korrigieren. 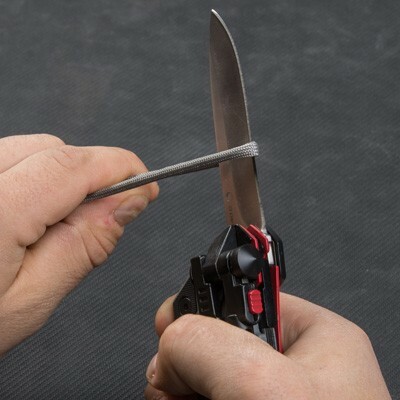 Der Aufdruck symbolisiert die Drehrichtung und erleichtert alles erheblich. 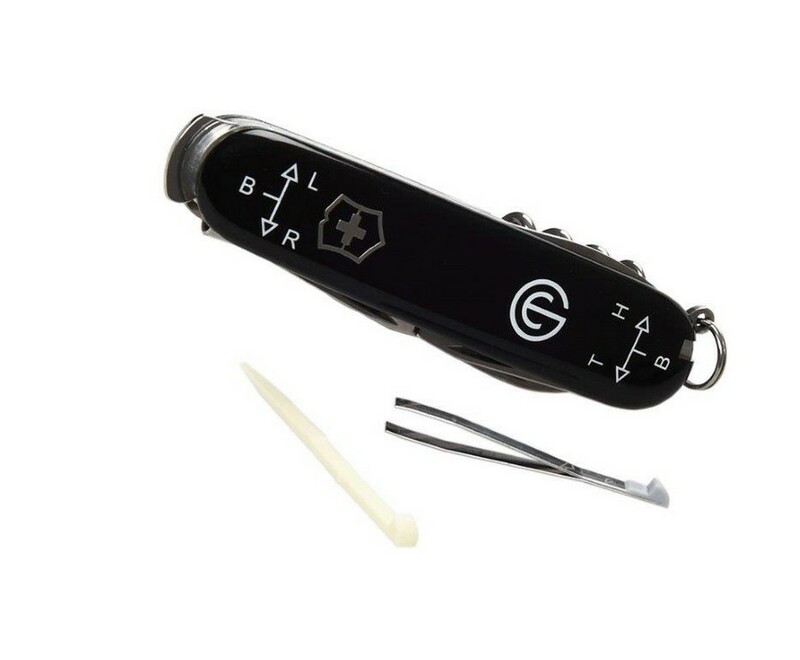 Gehört einfach in jedem Stgw90-Koffer. 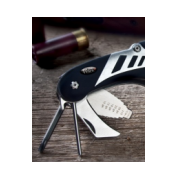 Weitere Tools, wie Messer, Flaschenöffner, etc. 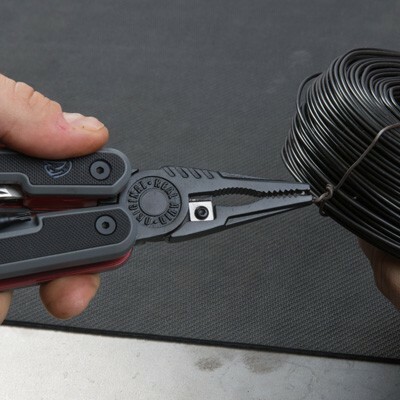 Mit Kapselheber, Farbe schwarz, Gesamtlänge 91mm. 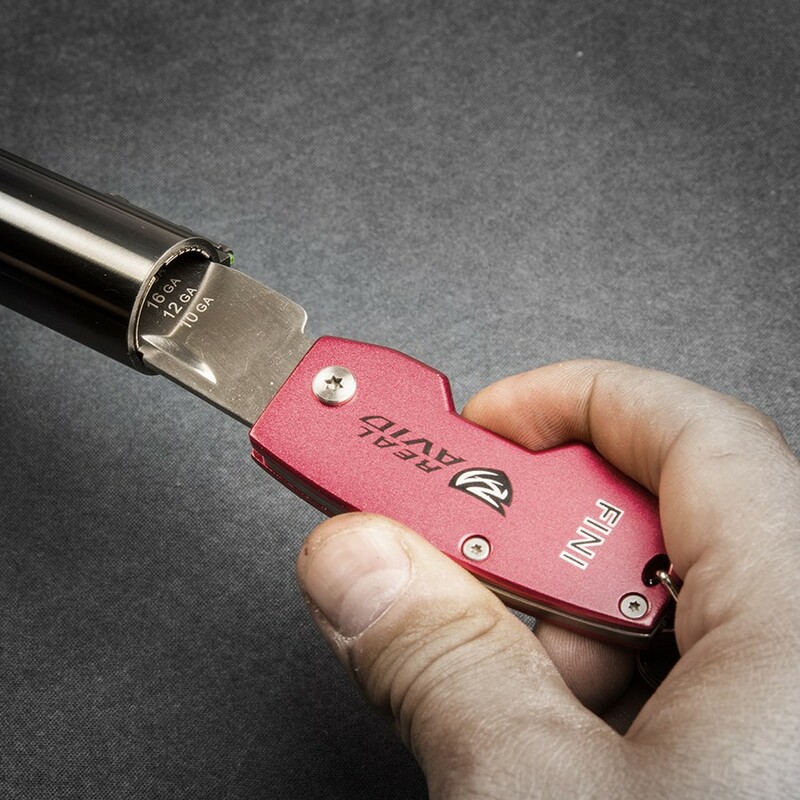 An extended, 2.5” long bit driver deploys securely with its liner lock. 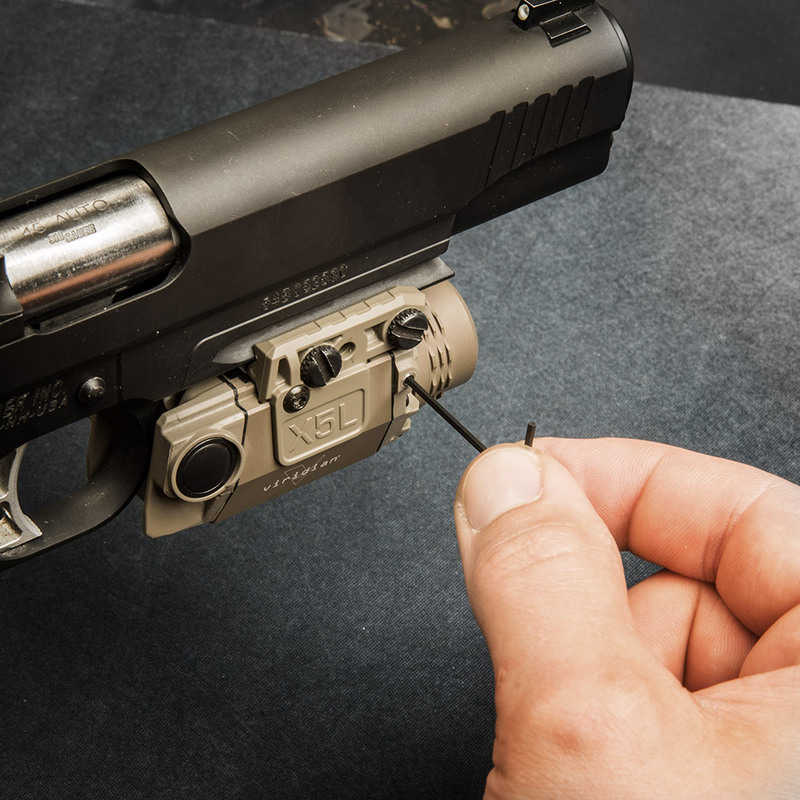 This added length allows reach inside your handgun’s frame when necessary. 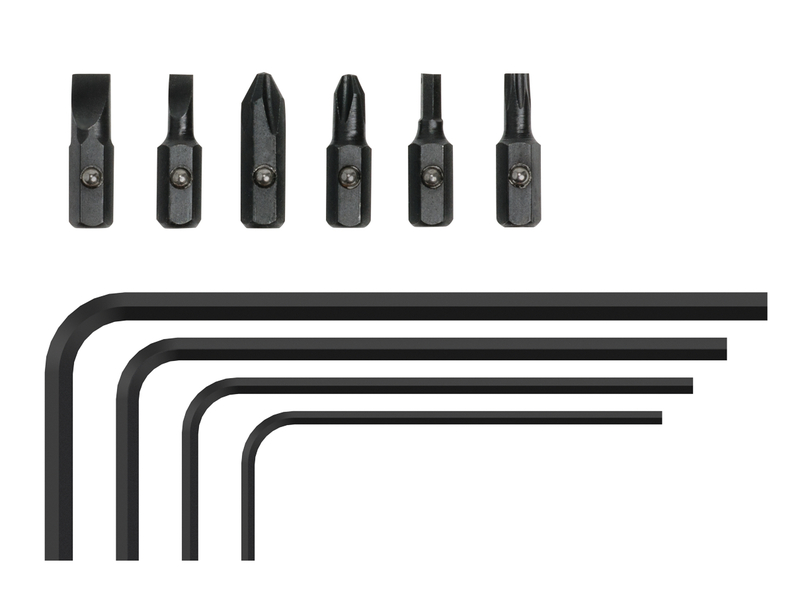 Any of the six onboard square-cut, hollow ground bits are held in place with a ball detent system. 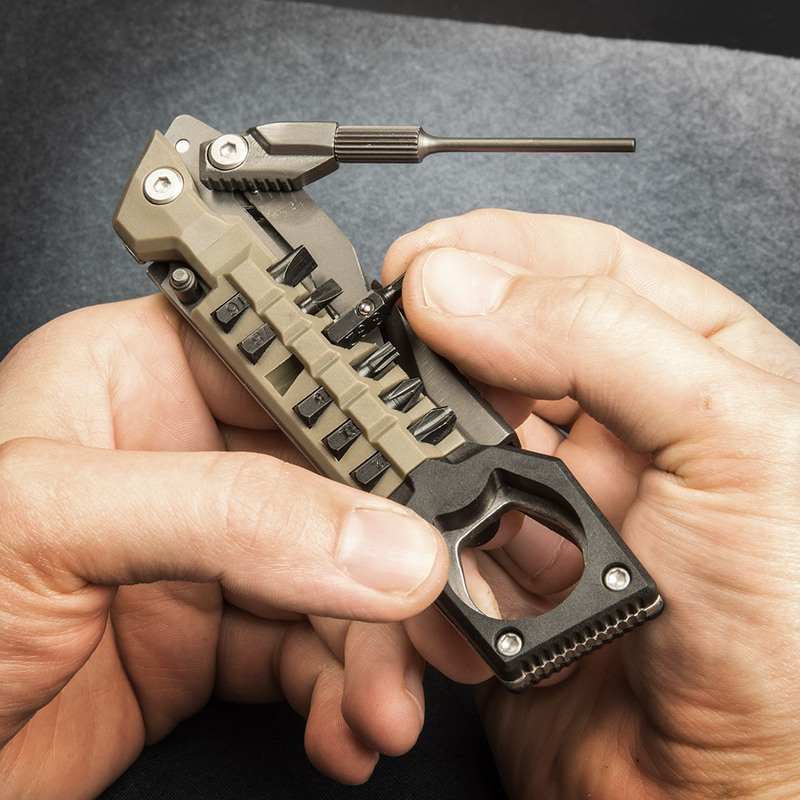 We set out to make a gun-specific 18-in-1 shooter's multi-tool and ended up creating an entire category. 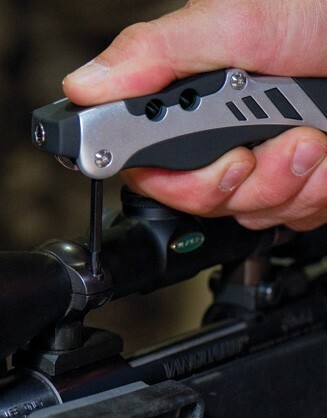 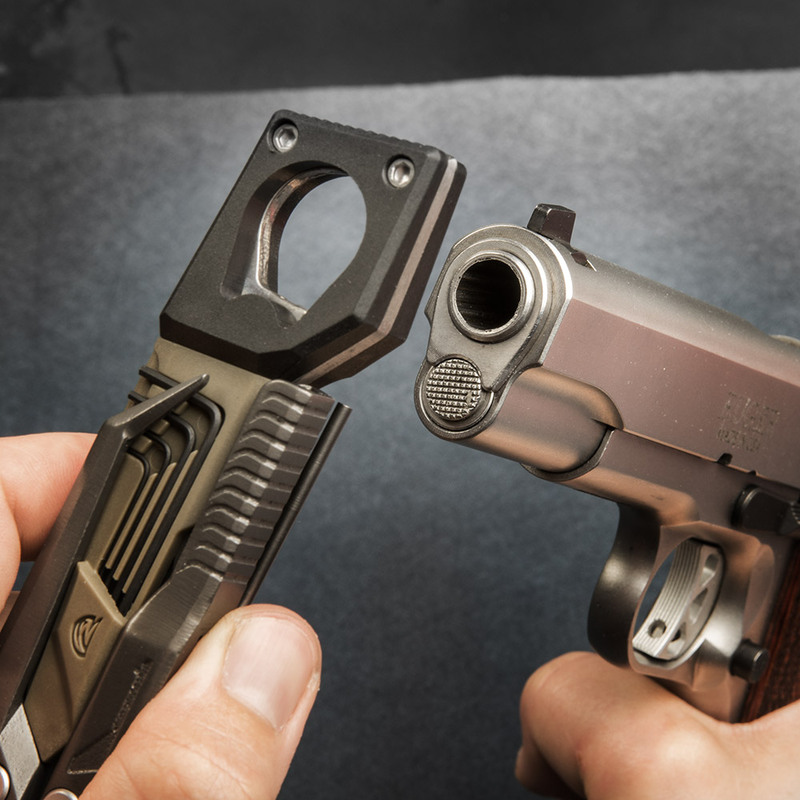 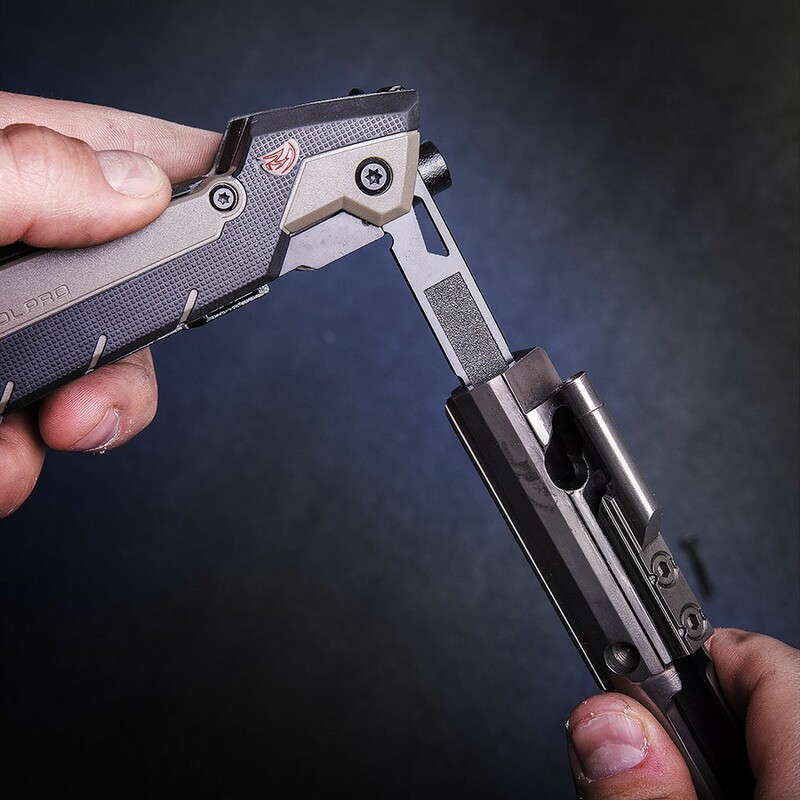 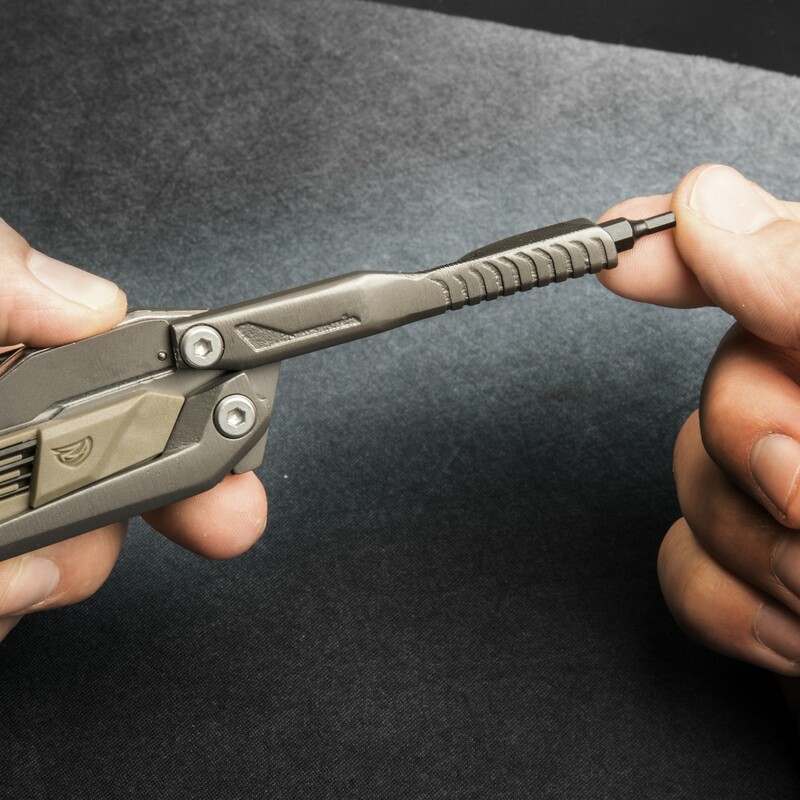 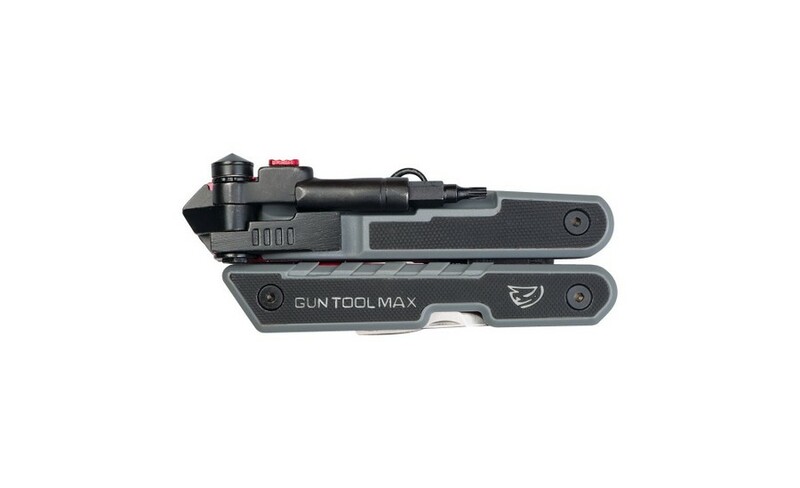 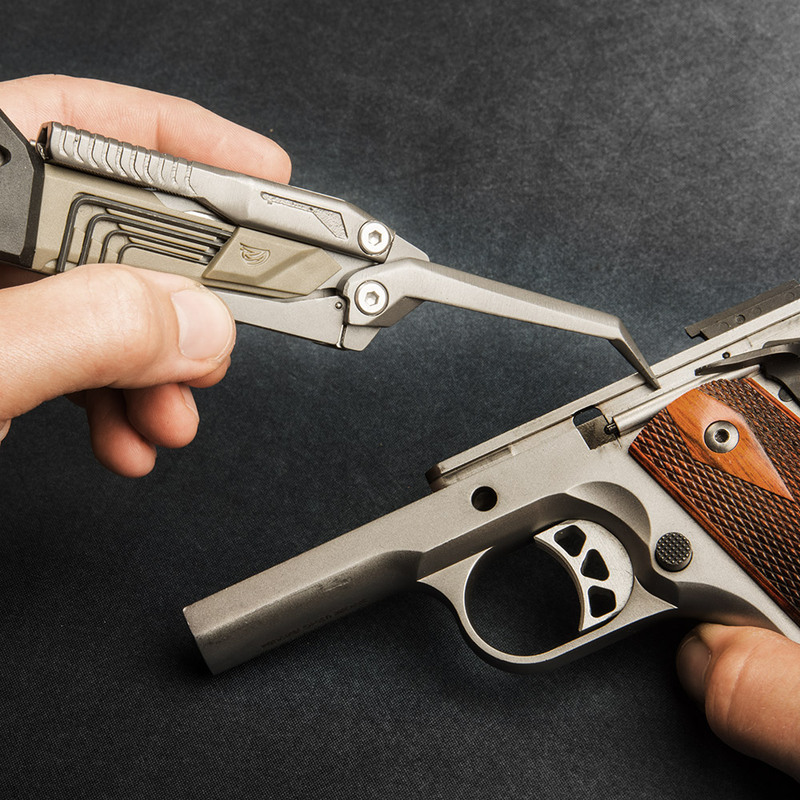 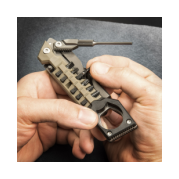 This gun tool was designed for those “Oh, crap” moments – when problems strike and they need to be fixed fast. 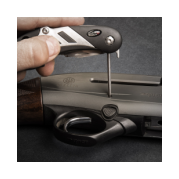 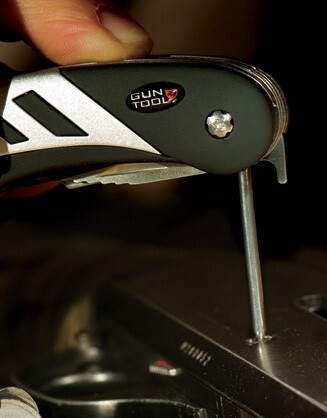 The Gun Tool can change choke tubes, mount and adjust scopes, tighten screws and break down actions. 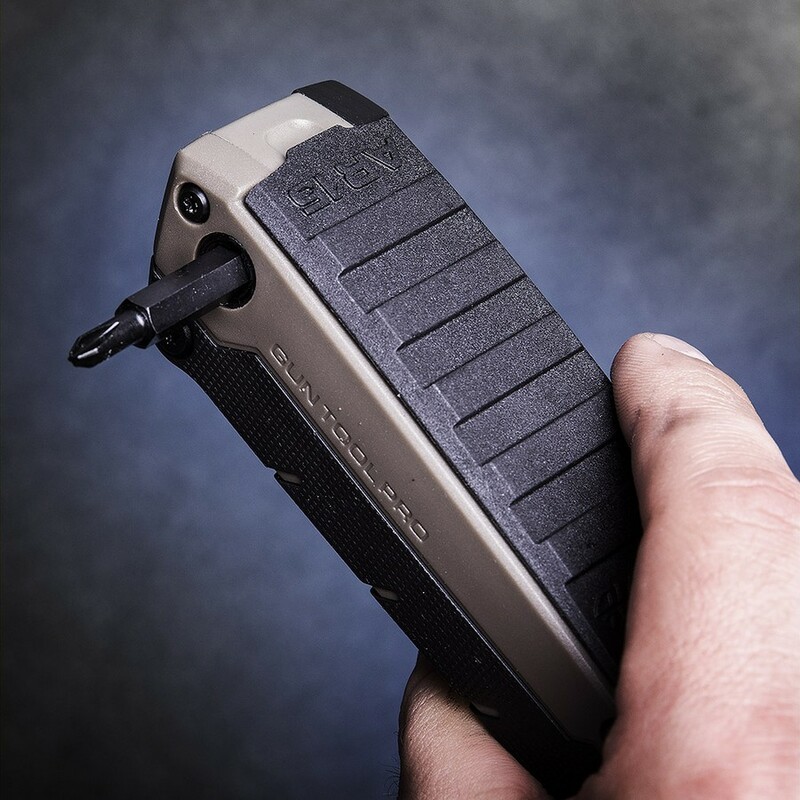 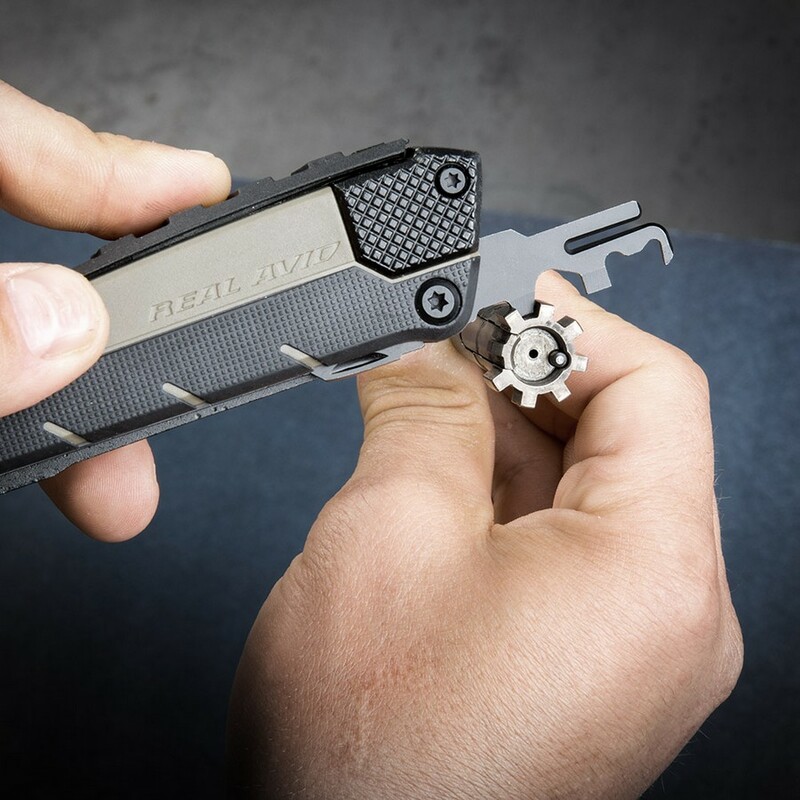 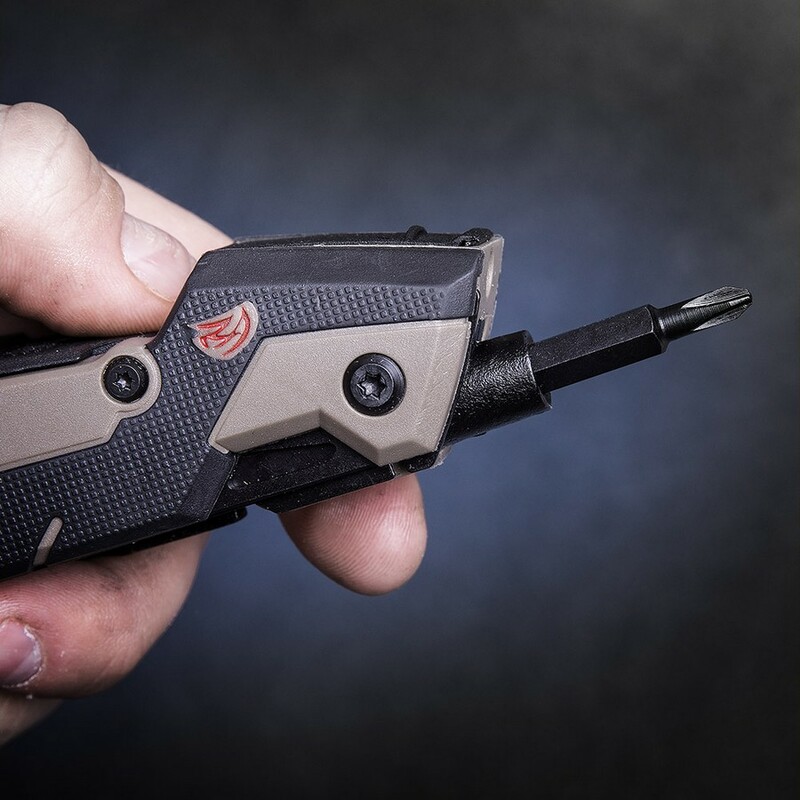 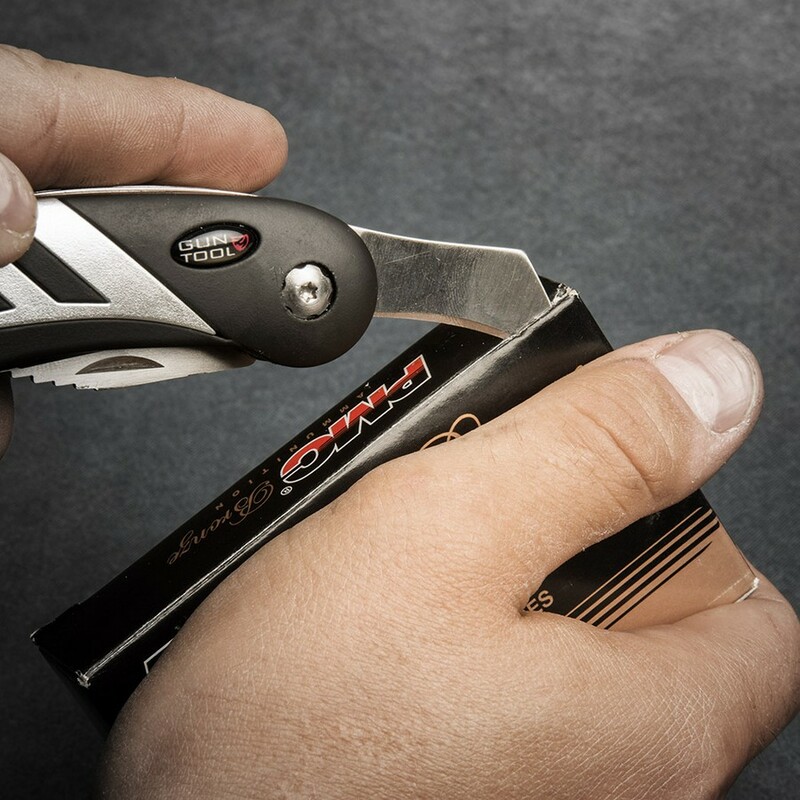 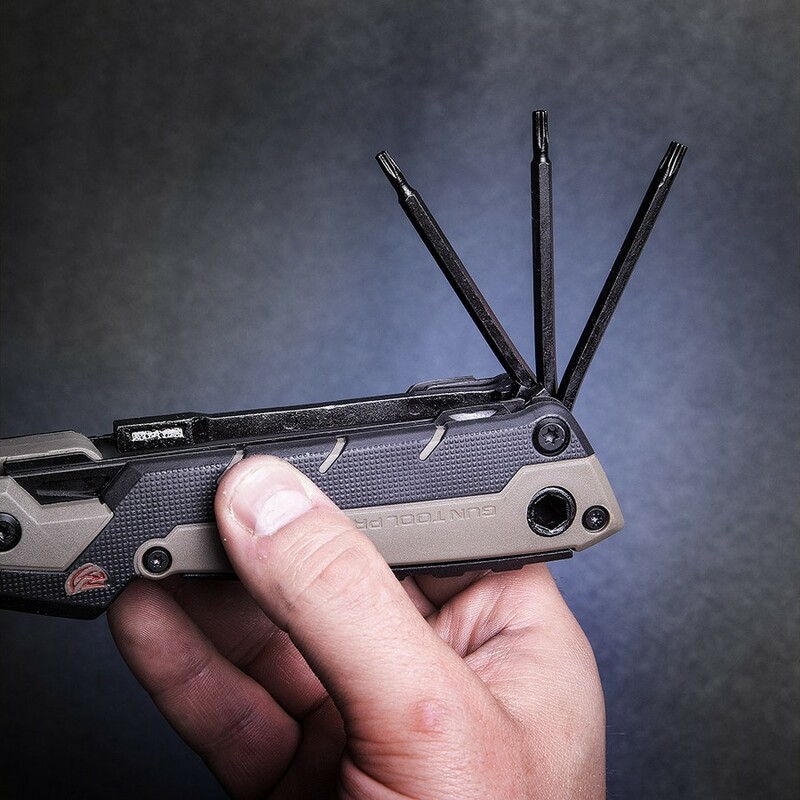 No matter where a problem with a gun happens – in the field, at the range or workbench – count on The Gun Tool to fix it. 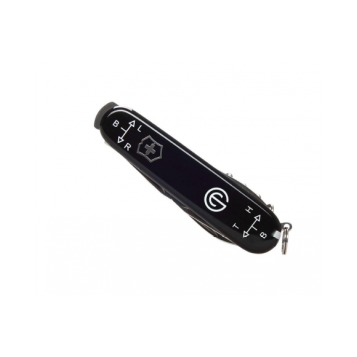 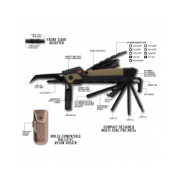 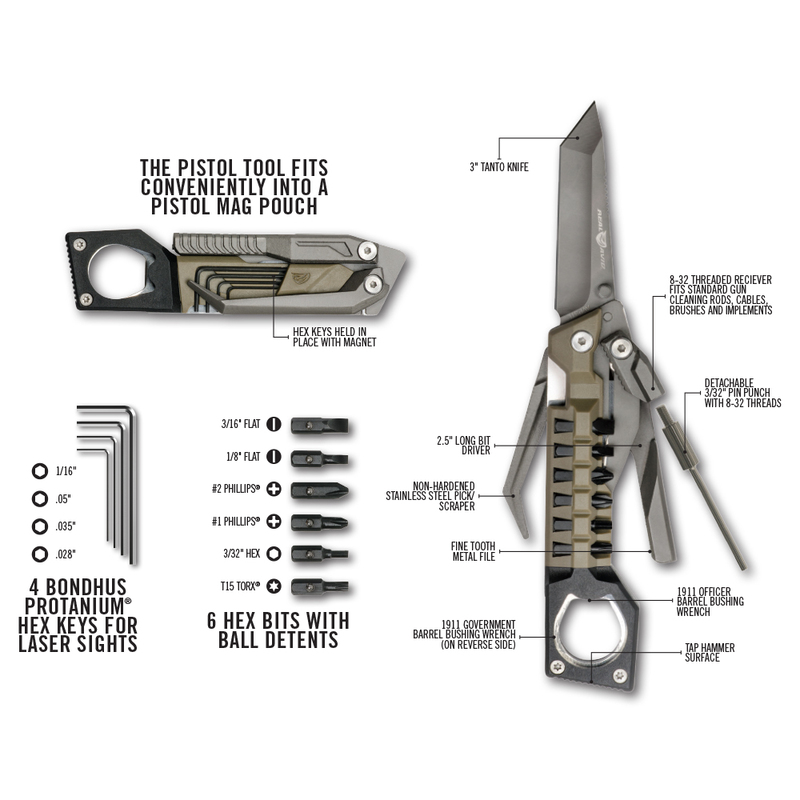 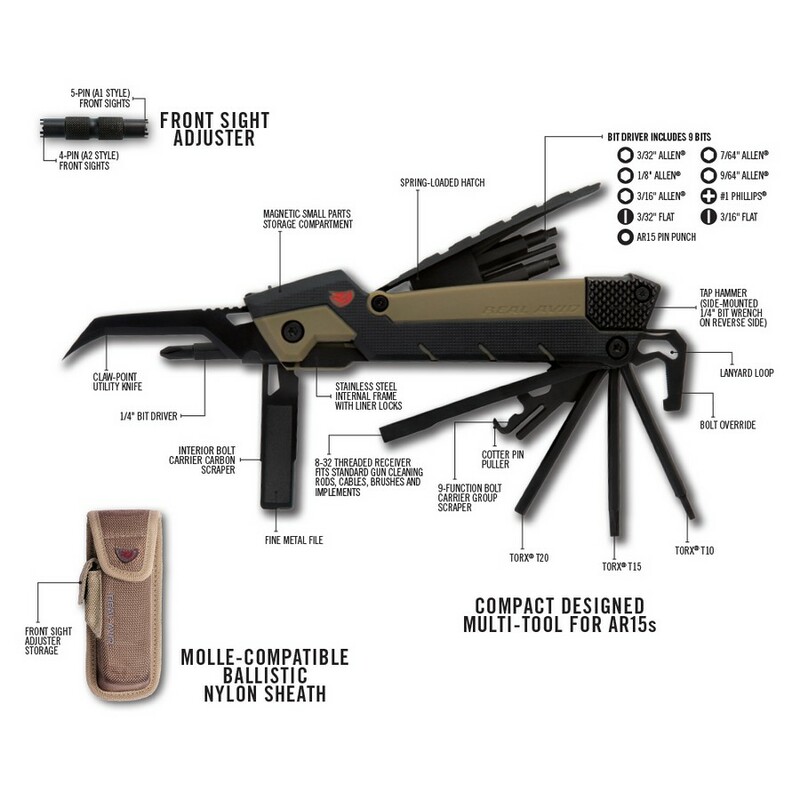 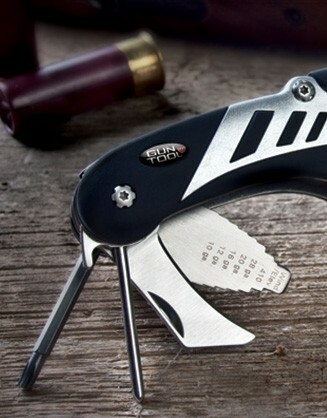 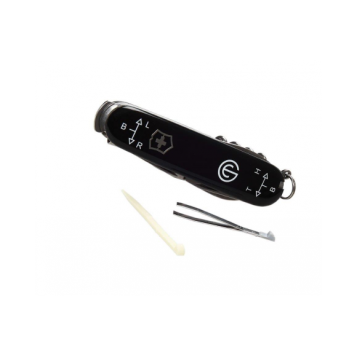 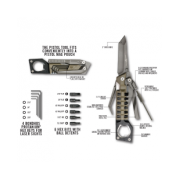 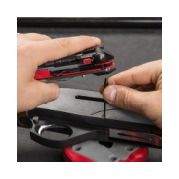 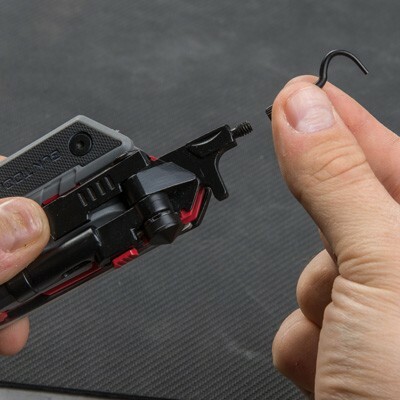 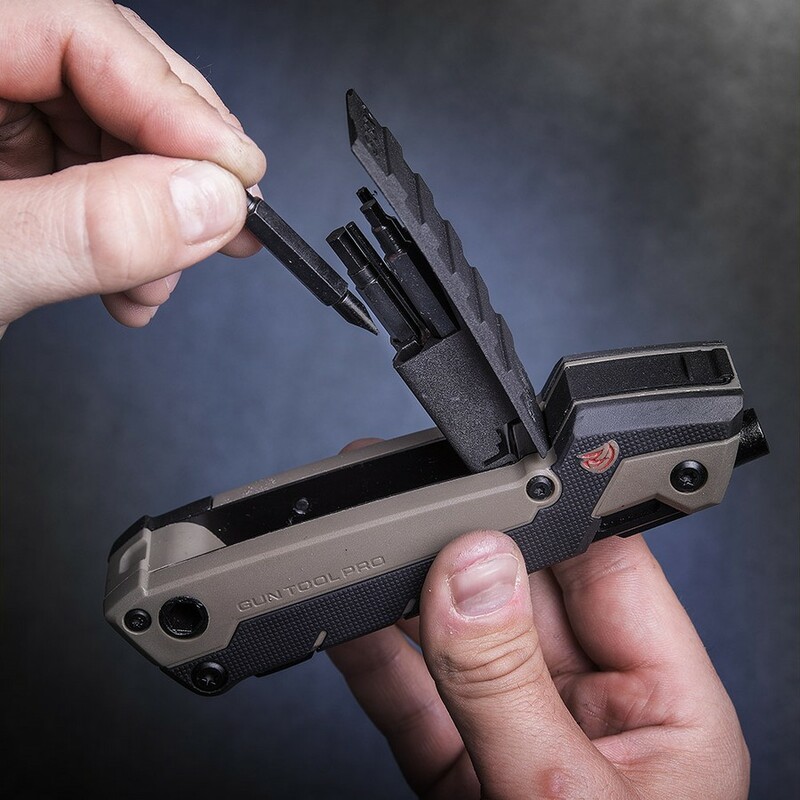 Packed with 37 precision-made, mission-specific tools for all hunters and shooters, this highly versatile tool repairs, customizes, and makes disassembly and reassembly fast and easy. 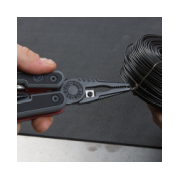 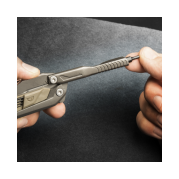 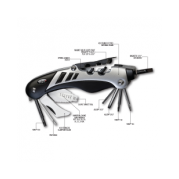 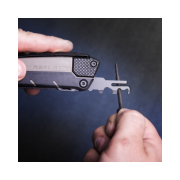 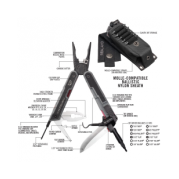 Included are needle-nose pliers with carbide cutters, a universal choke tube wrench, locking driver, and a heavy-duty stainless steel knife. 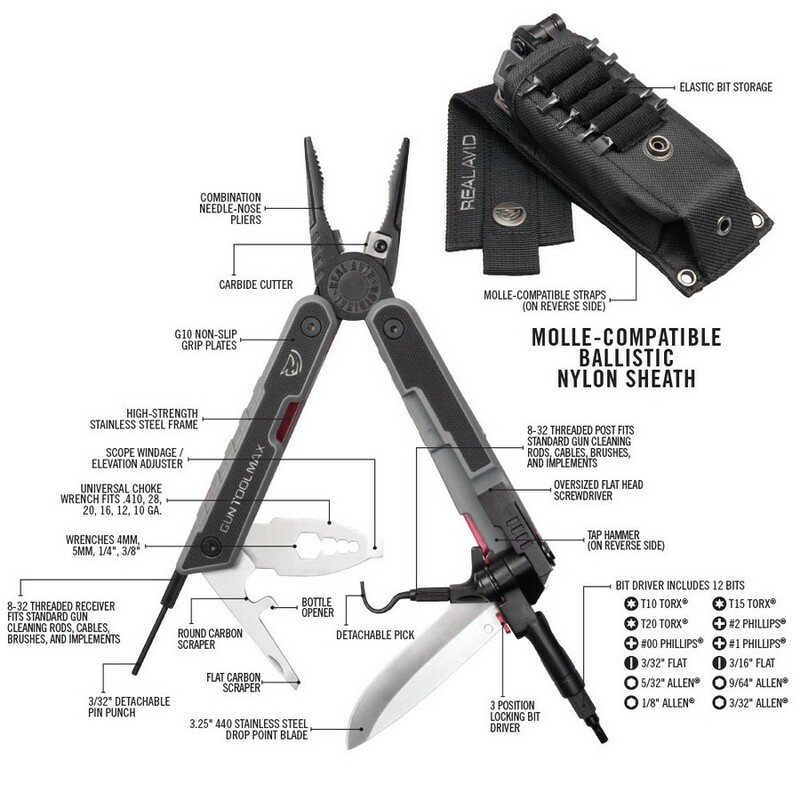 The ballistic nylon sheath carries 12 additional bits for added functionality. 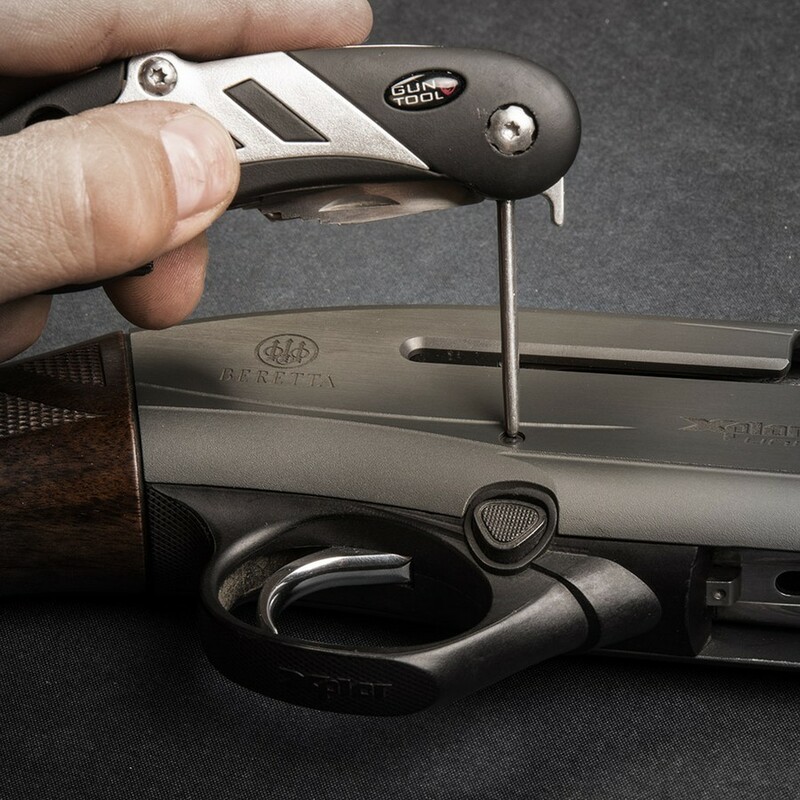 It’s everything you need to maximize your gun’s potential. 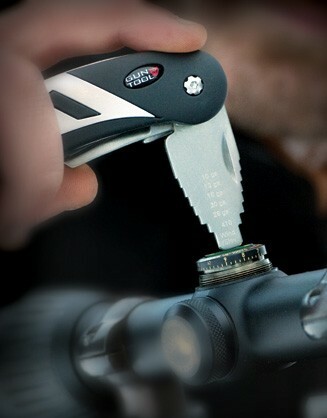 Universal choke tube wrench fits .410 to 10 gauges to make adjustments on the fly. 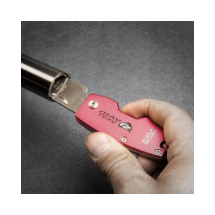 It’s built to stand up to stuck-and-stubborn choke tubes with hefty stainless steel construction. 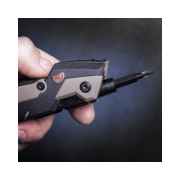 It also features a flat screwdriver tip on the end of the blade, perfect for adjusting riflescope turrets for precision shooting in any element. 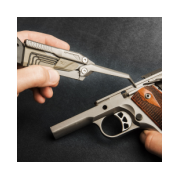 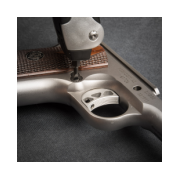 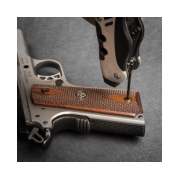 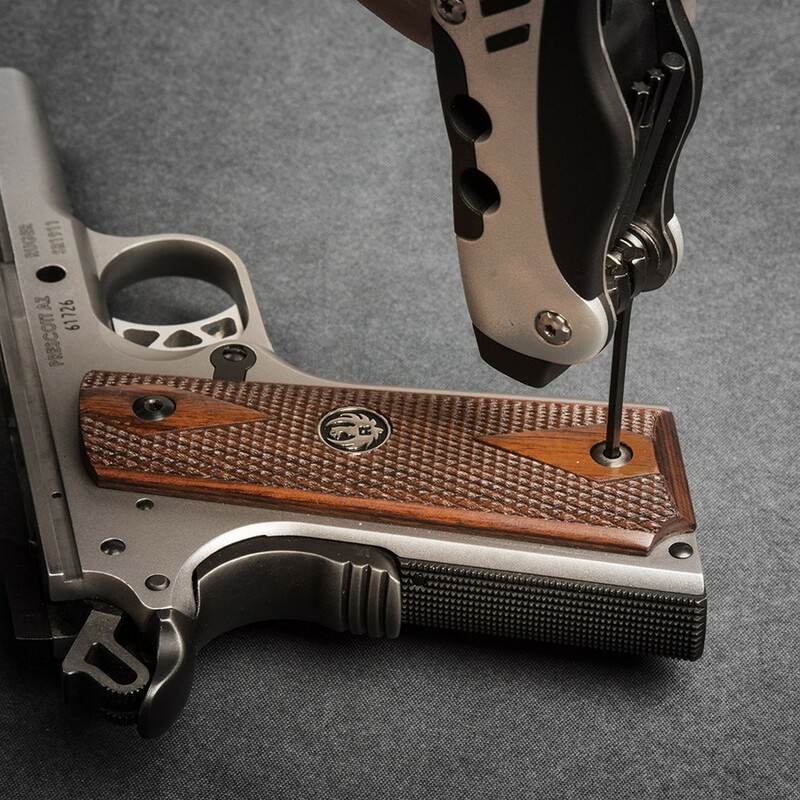 There are critical components to assist in disassembling your firearm in the field or at the bench. 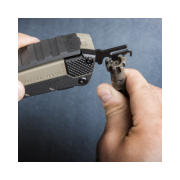 Included are a detachable pick on a 8-32 threaded post that also accepts rods and brushes, a detachable 3/32" pin punch in an 8-32 threaded receiver that also accepts rods and brushes. 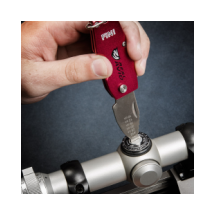 The 3-position locking magnetic driver secures 12 square-cut, hollow-ground bits. 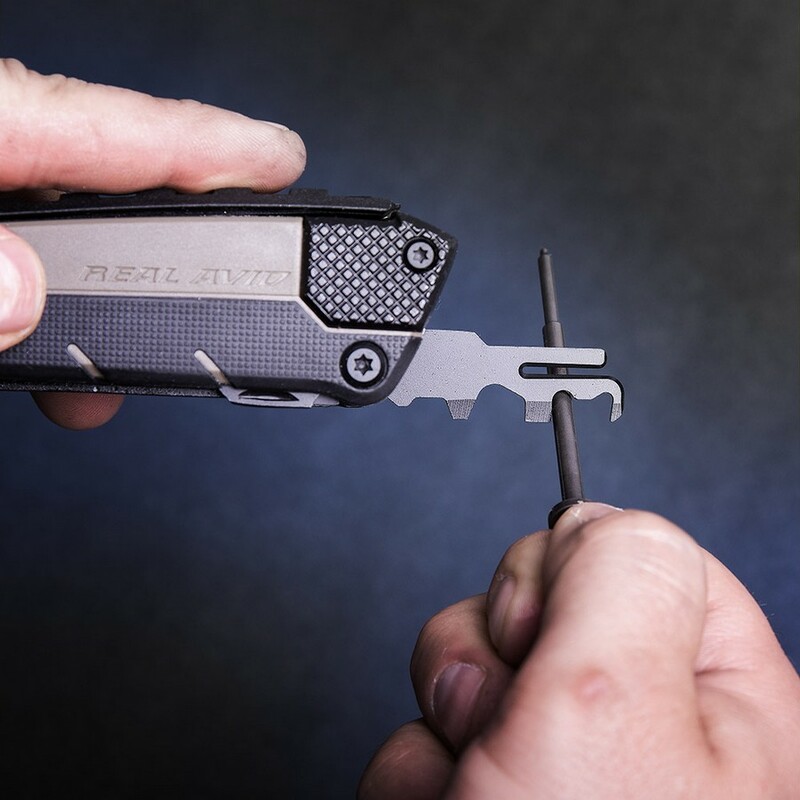 No matter the job at hand, this line-up offers the bits you need. 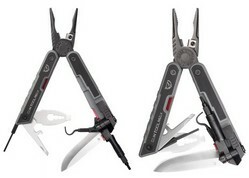 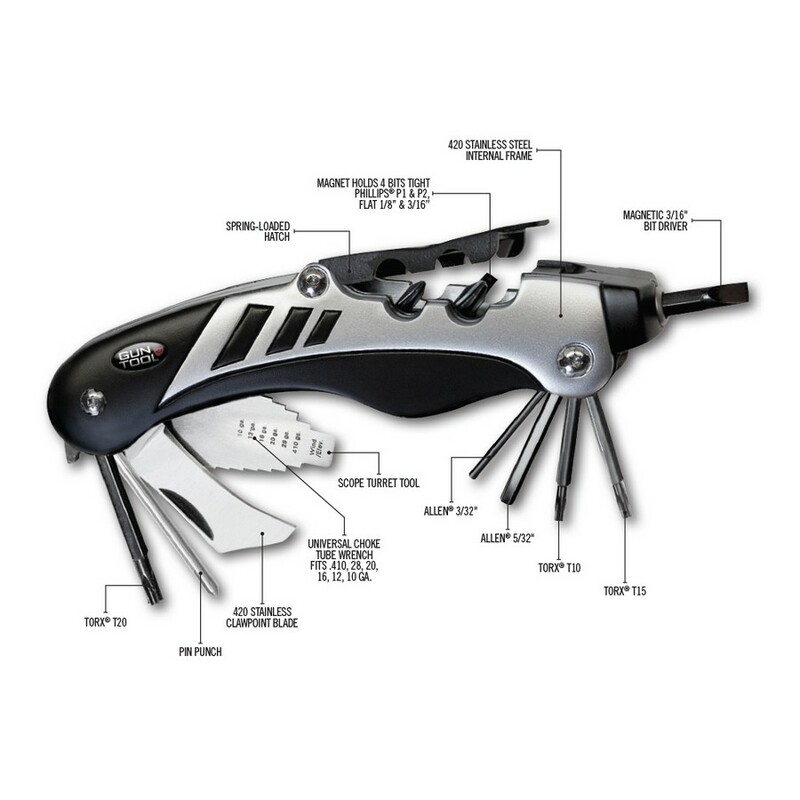 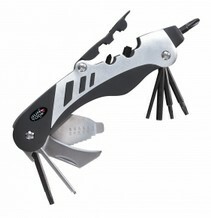 Constructed from stainless steel, the combination pliers feature needle nose and extended jaws. 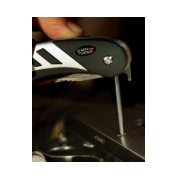 Non-hardened steel scrapes baked-on carbon from bolts, rails, pins. 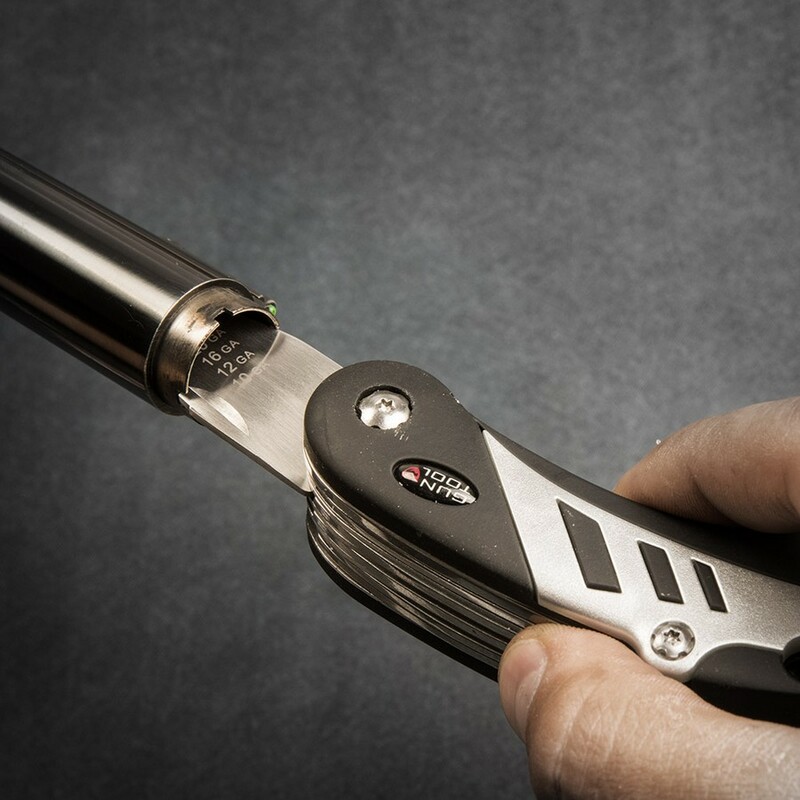 Made from 440 stainless steel, the drop point blade is 3.25 inches in length to handle all your everyday cutting operations. 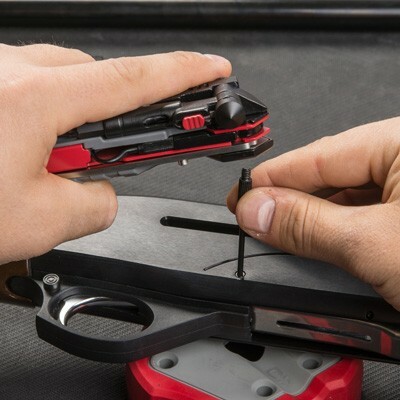 Oversized flat head screwdriver folds out to 90° for extra torque when you need it most. 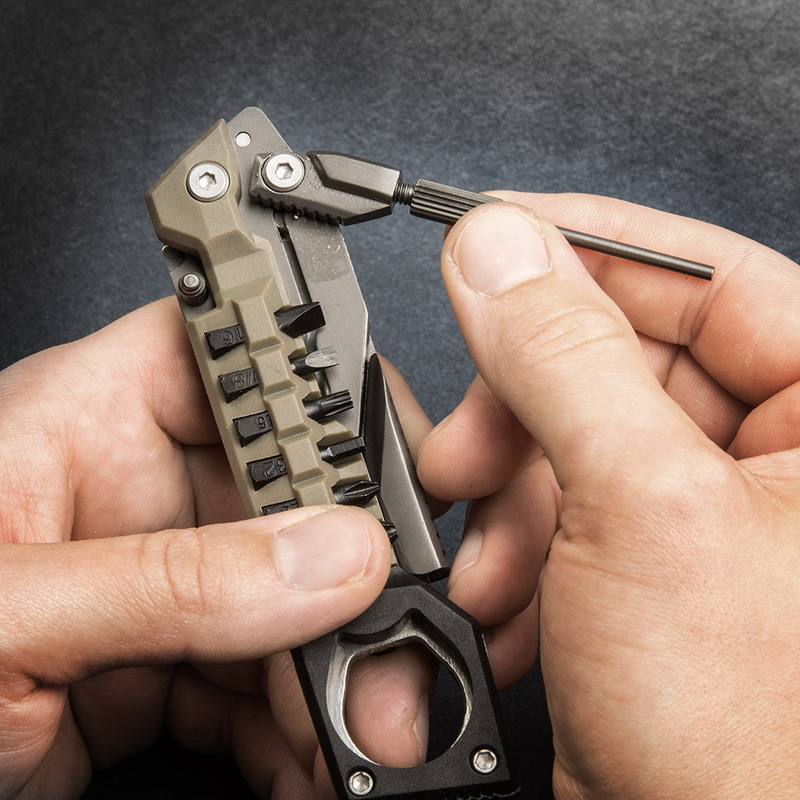 It can also be used in a pinch to open a bolt on a semi-auto shotgun. 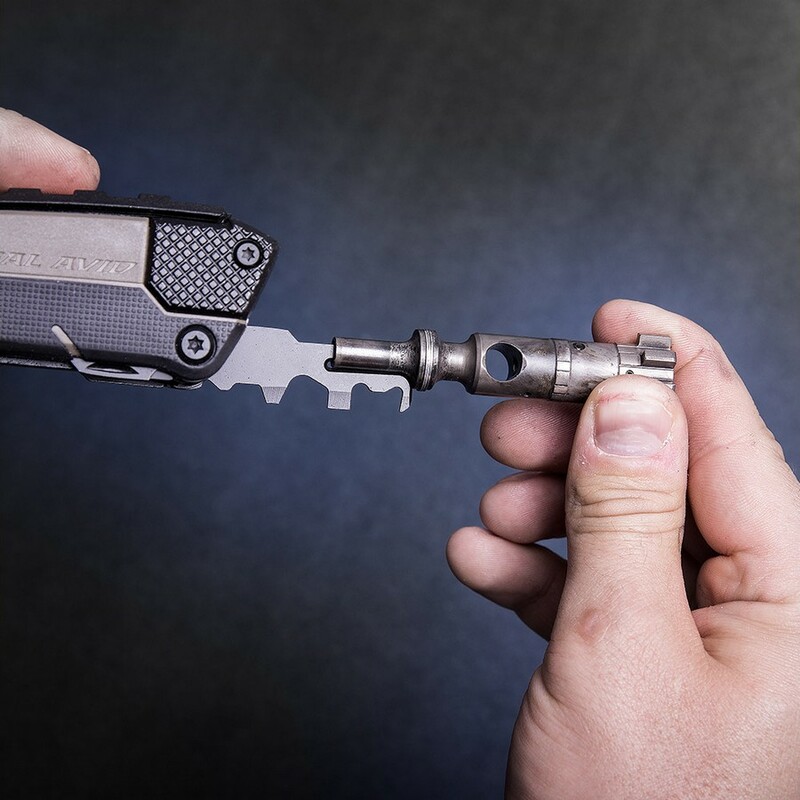 This is the most comprehensive carbon removal multi-tool ever built. 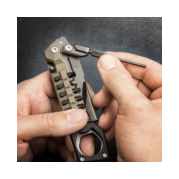 Extremely versatile, it has 12 precision surfaces to clean the most critical parts of your bolt, bolt carrier, cam pin, and firing pin. 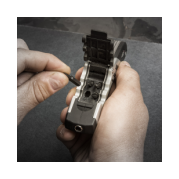 It also includes a cotter pin puller, a replaceable rotating phosphor bronze brush, and an imbedded bolt tail detailing brush. 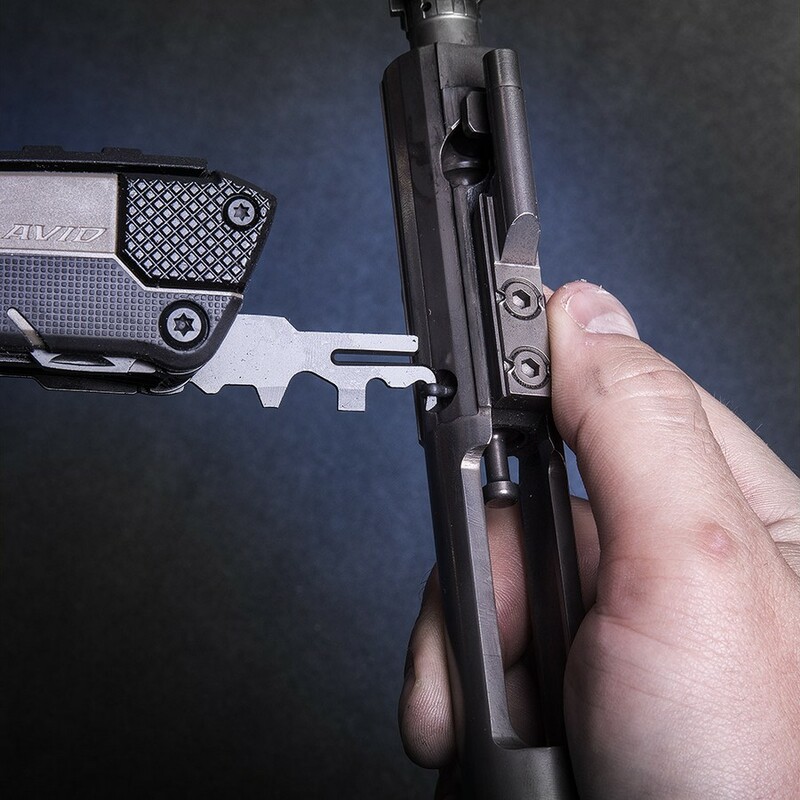 It’s the enemy of your AR15’s worst enemy. 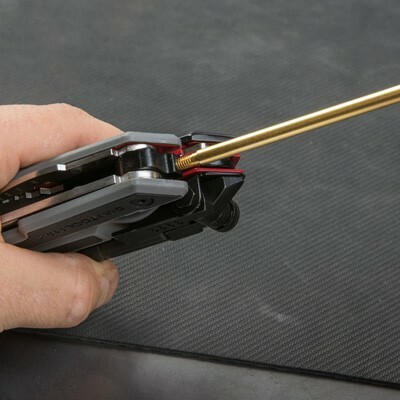 Two brushes remove even the smallest carbon deposits - An imbedded 360° bronze phosphor brush at the center of the tool is used to clean the most stubborn carbon off from the bolt tail. 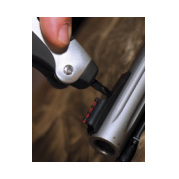 A rotating brush with both bronze phosphor and nylon easily scrapes and brushes the bolt to a clean, detailed finish. 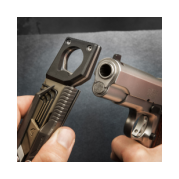 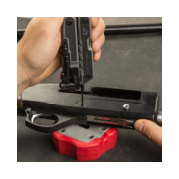 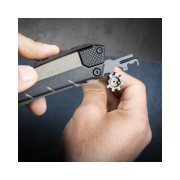 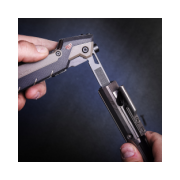 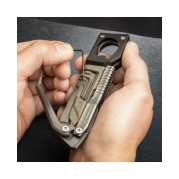 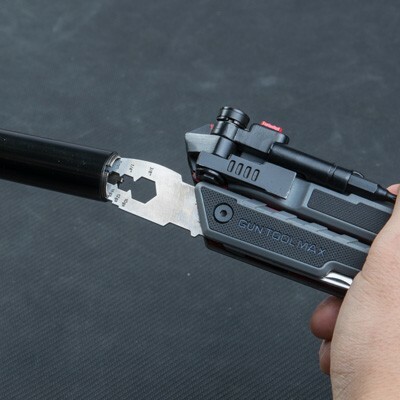 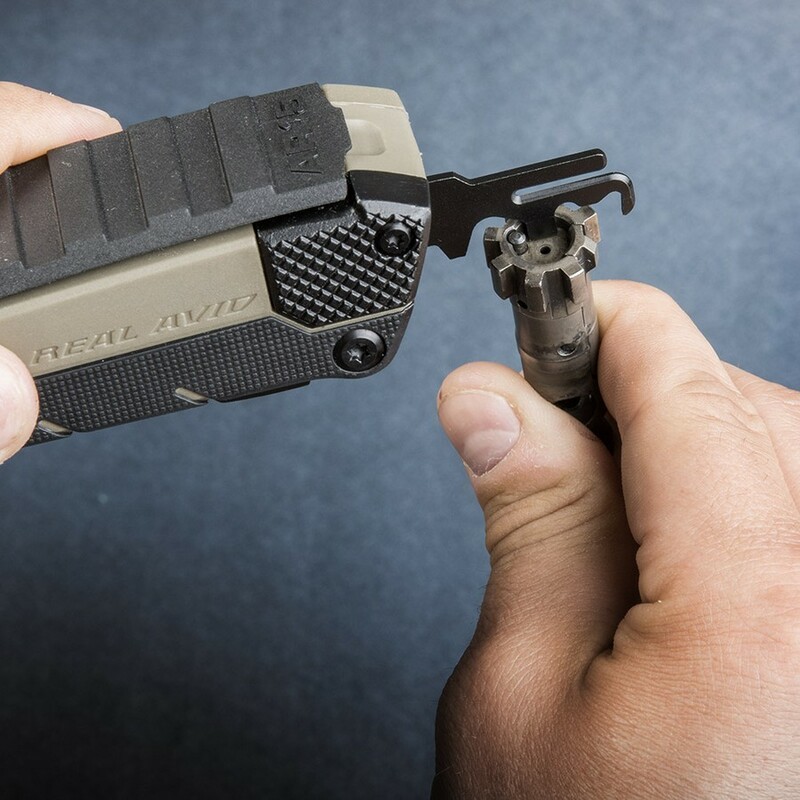 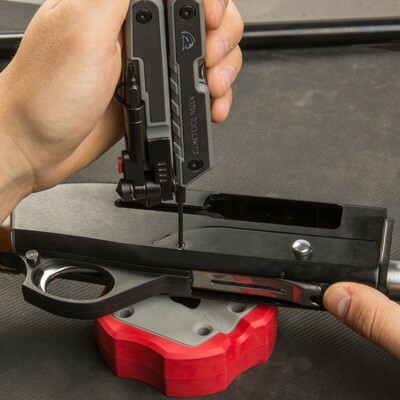 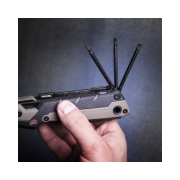 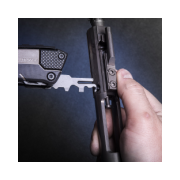 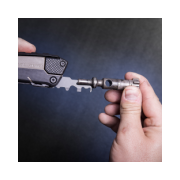 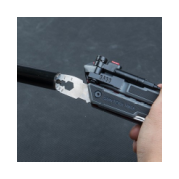 Retaining pin removal makes breakdown easy - A specially cut retaining pin punch quickly and easily removes the AR10 retaining pin for bolt carrier group disassembly. 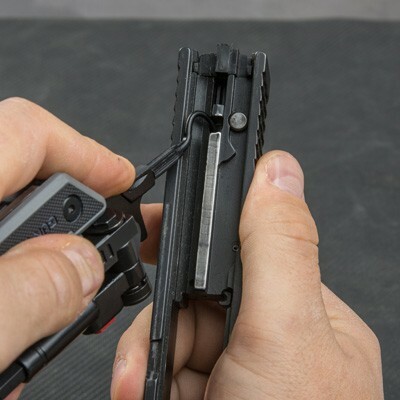 11 machined profiles - Precision cut faces on the carbon scraper quickly clean all external and internal surfaces on the bolt, bolt carrier, firing pin (large and small), and cam pin. 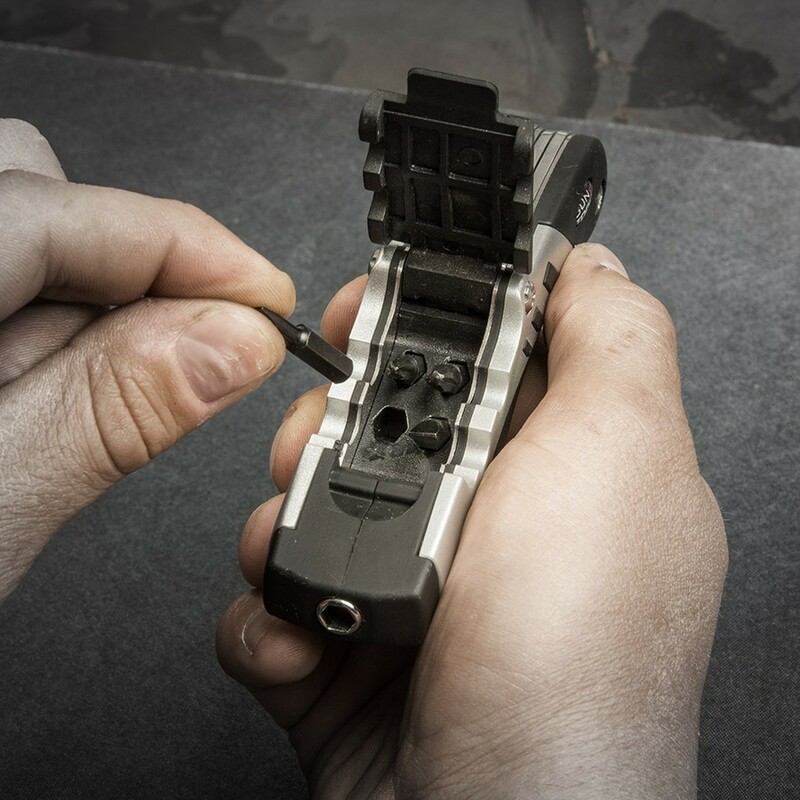 Each surface is precision milled to out-clean anything else on the market. 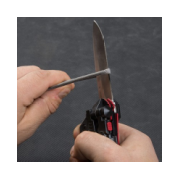 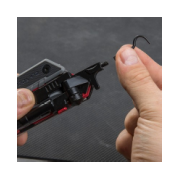 Clean the bolt - A rotating peg fits inside of the bolt tail and fits an edge to scrape the shoulder and outside of the bolt tail in one twisting motion. 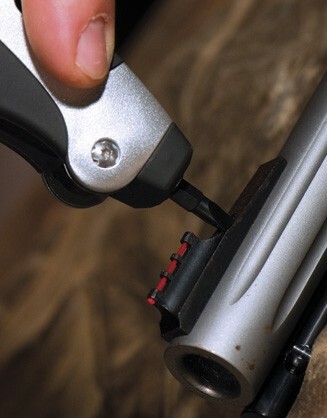 Then proceed to scrape between the lugs, bolt face and behind the cartridge extractor. 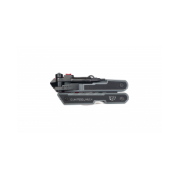 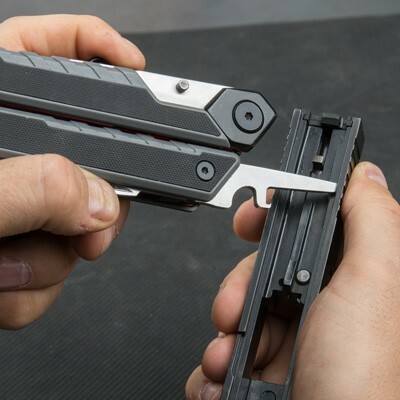 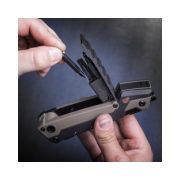 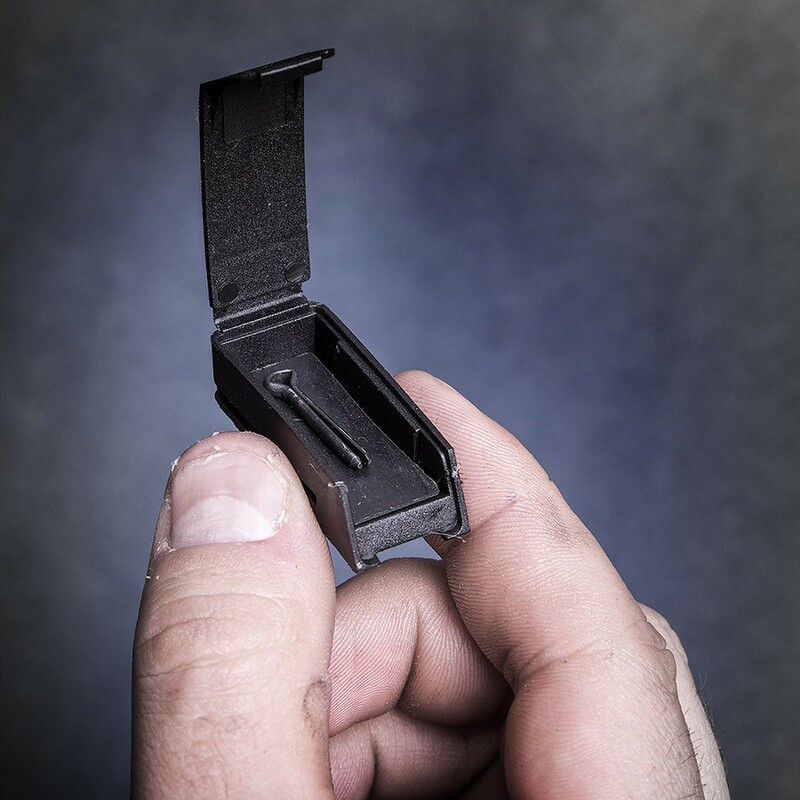 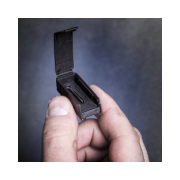 Clean the bolt carrier - A rotating bolt carrier scraper fits inside the bolt carrier and with one quick twist leaves two interior surfaces carbon free and hang-up free. 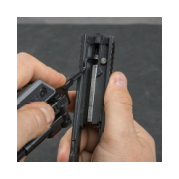 Clean the firing pin - Easily cleans both the large and small section of the firing pin with two precision scraping surfaces. 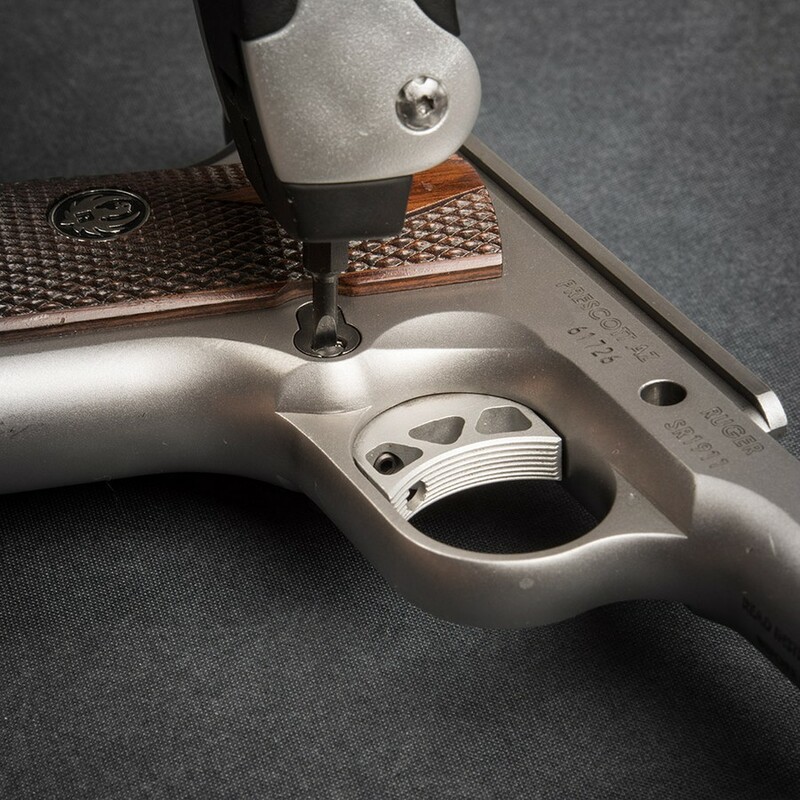 It also cleans the firing pin face where some of the most stubborn carbon can be found. 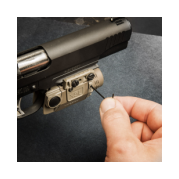 Clean the cam pin - The precision tolerances of the milled surface allow for easy and thorough scraping of your AR15’s cam pin. 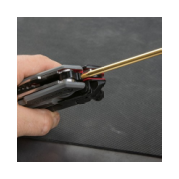 Two bit drivers located at the front and on the side of the frame handle your precision adjustments and high torque jobs, respectively. 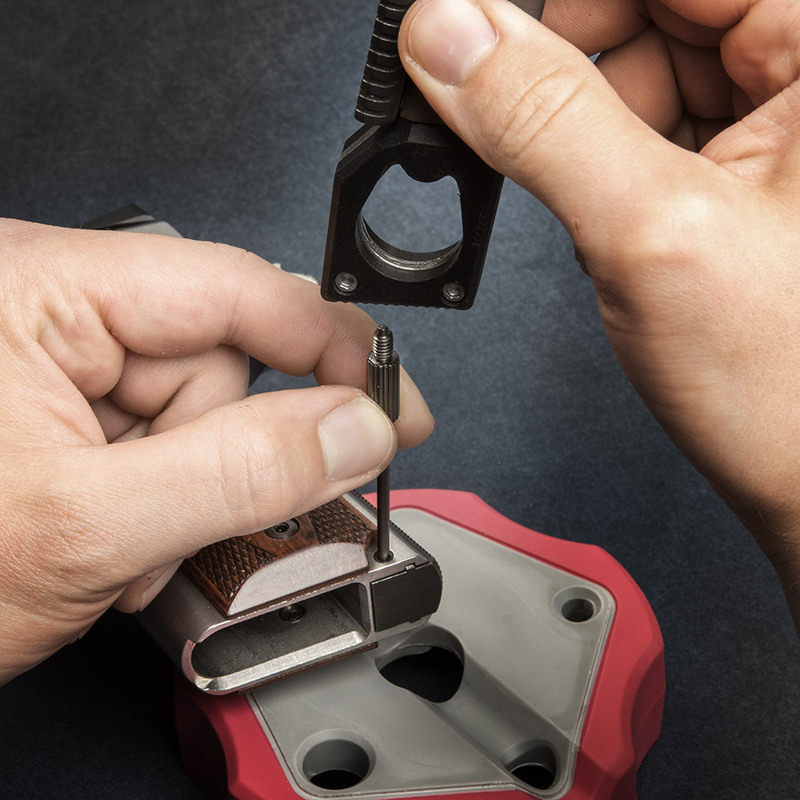 Eight square-cut, hollow ground bits ride right onboard. 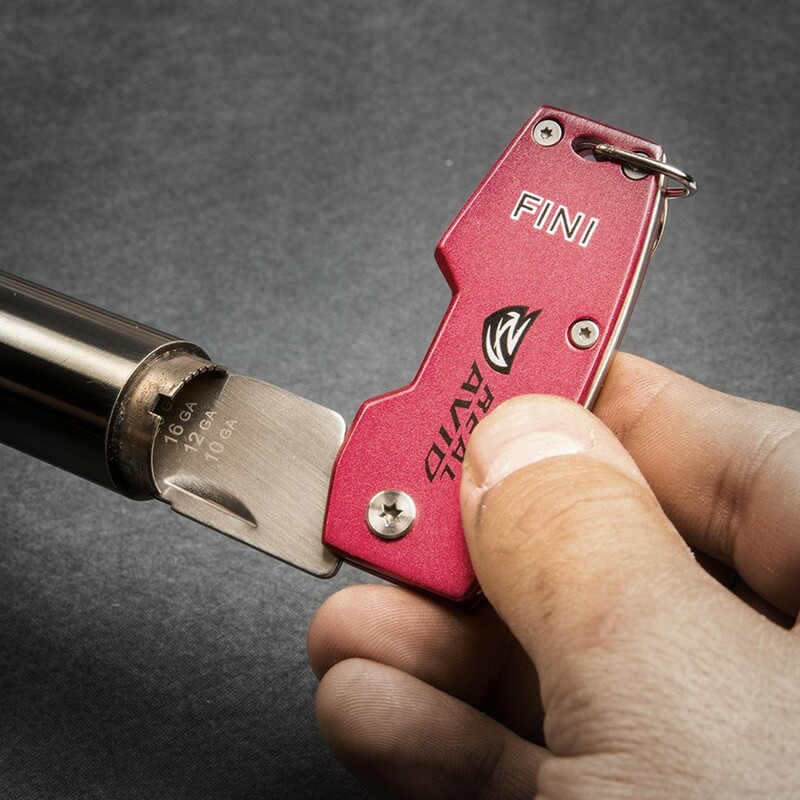 Fini is the smallest, most functional choke wrench ever. 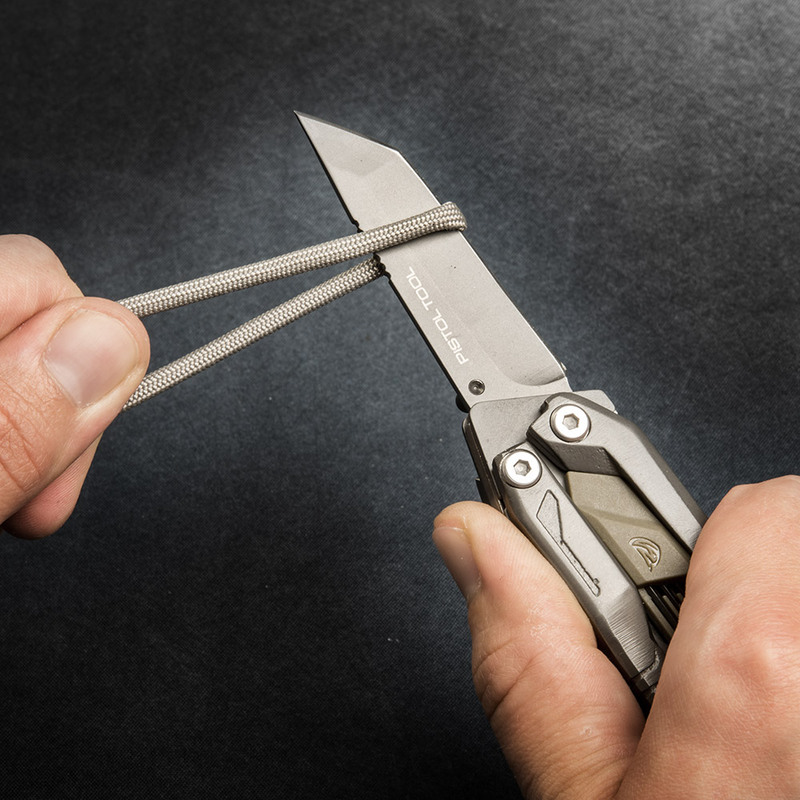 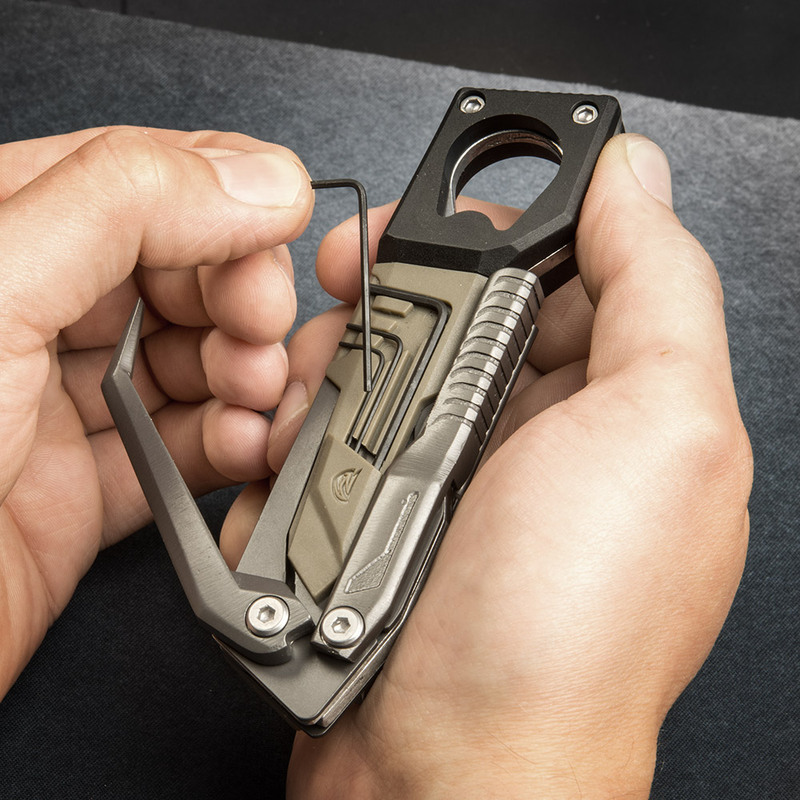 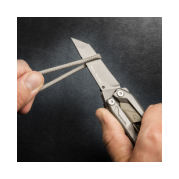 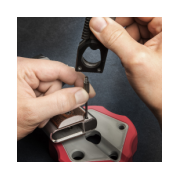 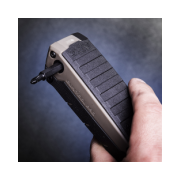 It’s built to stand up to stuck-and-stubborn choke tubes with a hefty, stainless steel choke blade inside a heavy-duty aluminum housing. 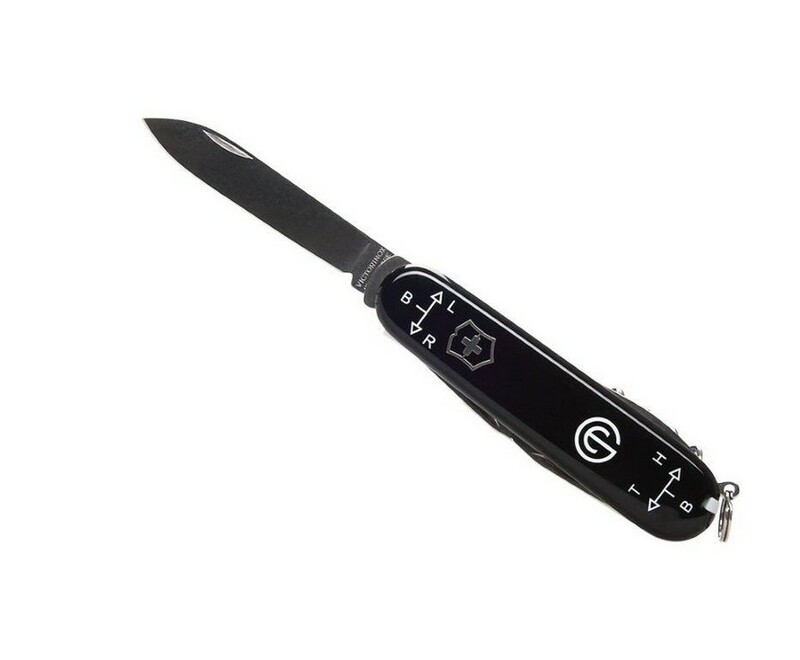 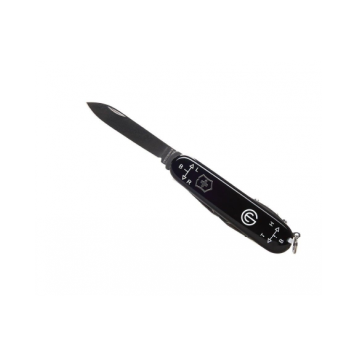 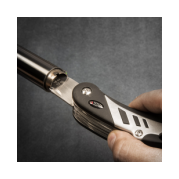 It also features a flat screwdriver tip on the end of the blade, perfect for adjusting riflescope turrets for precision shooting in any element. 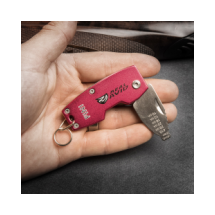 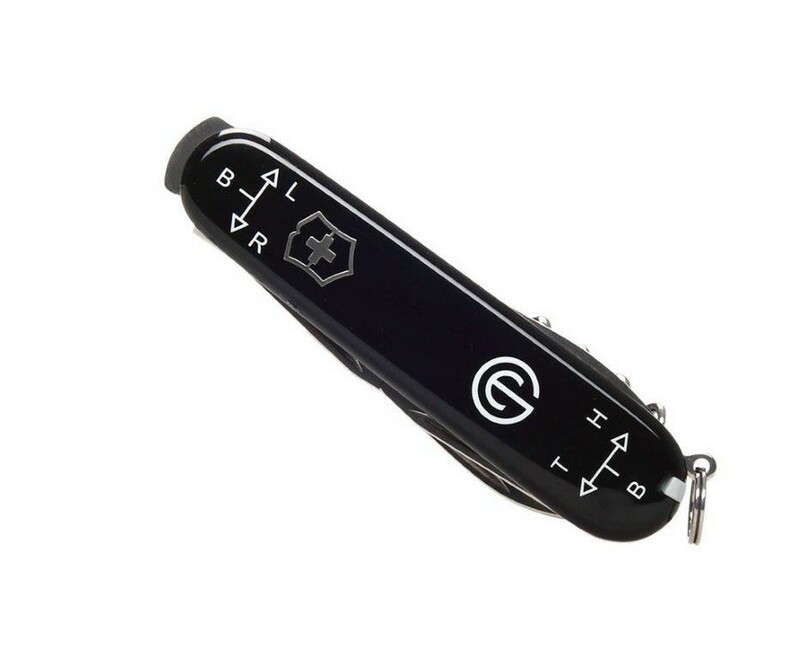 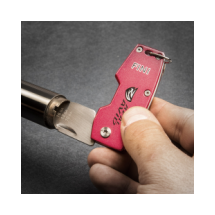 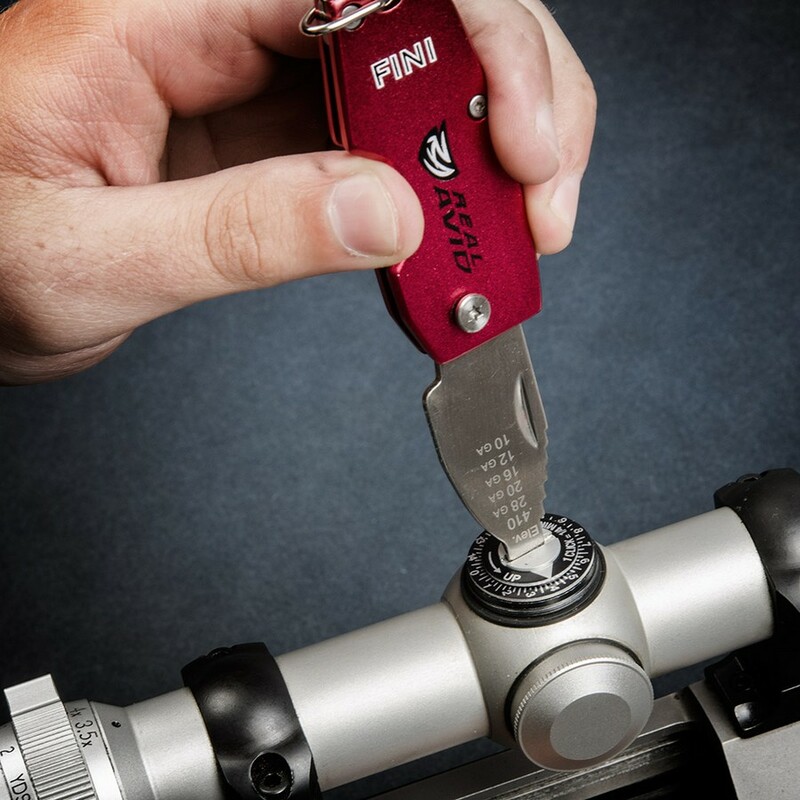 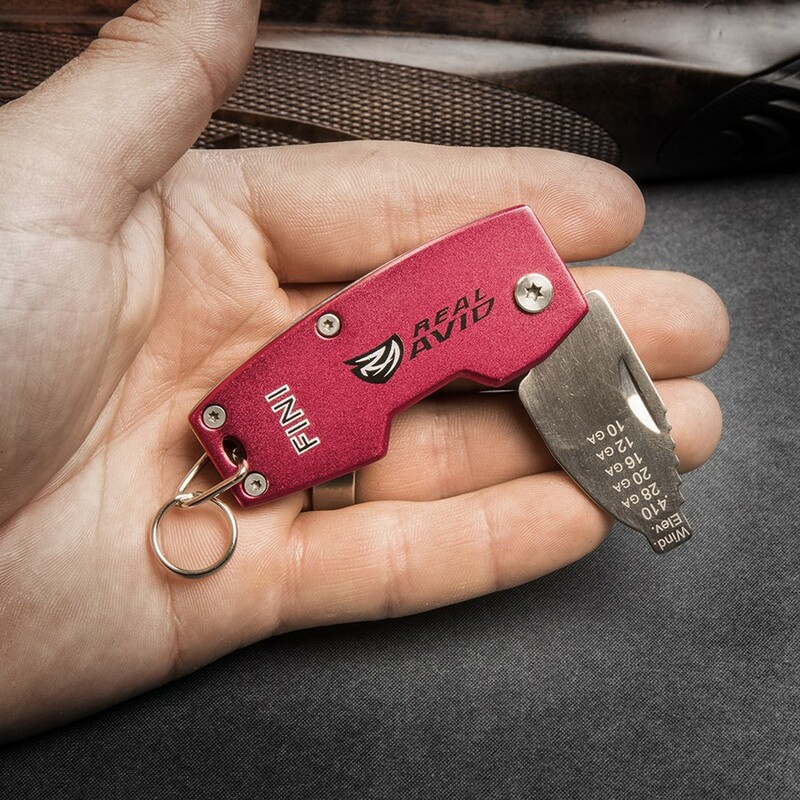 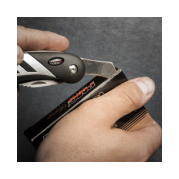 Carried on your everyday key chain, you’re always ready for a choke change at the range or in the field. 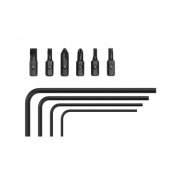 Universal wrench handles all gauges from mighty 10 down to tiny .410. 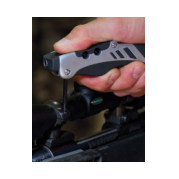 Includes a custom tool for precise adjustment of windage and elevation turrets on any riflescope. 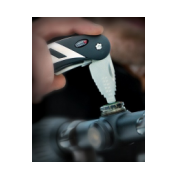 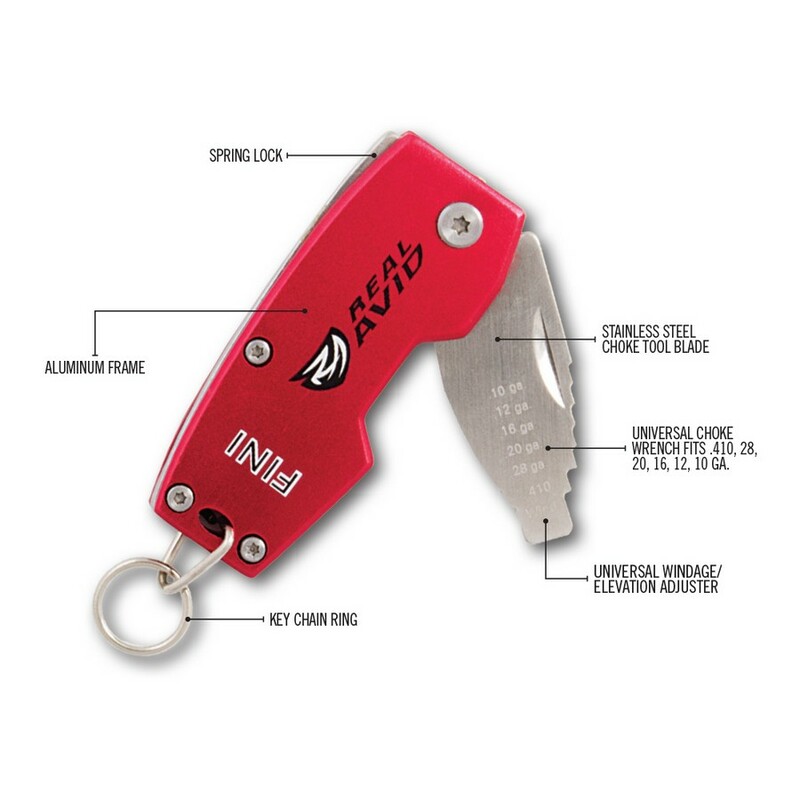 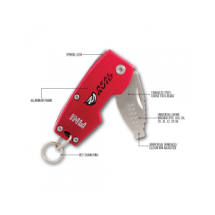 Aluminum frame and compact folding design attached to key ring for convenient access any time, anywhere.